The German Entertainment Software Self-Regulation Body (USK) has issued a rating for Trine 3: The Artifacts of Power on Nintendo Switch, Frozenbyte’s third adventure in their fairytale world filled with wonderful contraptions, dangerous foes and enchanting creatures. The developer has so far supported the portable home console with Has-Been Heroes and Nine Parchments, but will soon reunite players with Pontius the Knight, Amadeus the Wizard and Zoya the Thief in this physics-based puzzle-platformer. Frozenbyte has previously released Trine Enchanted Edition and Trine 2: Director’s Cut on Wii U, and, in this sequel, the three heroes try to return the extraordinary gifts that the powerful magic artifact Trine had granted to them. But when Trine shatters and a heartless ancient sorcerer escapes, they must try to repair the damage that they have caused. 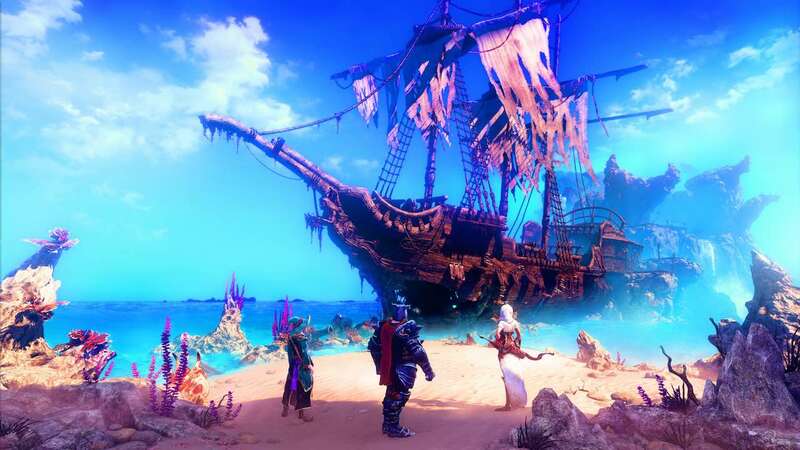 Trine 3: The Artifacts of Power is playable in single-player or in co-op with up to three players, whether that be locally or online.